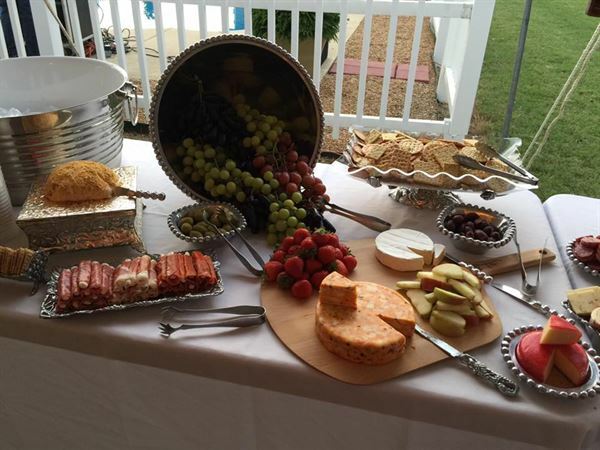 Lead Apron Catering can help you elevate your event to the next level. We offer professional full service catering and innovative menu options to fit within any budget. No gathering is too large or too small. We are experienced in event planning and decorating for special events and can take the stress out of the party so you can relax and enjoy your guests. So please contact us today for a free consultation. *Some Hors d’oeuvres may not be available for very large events. Please contact us for our complete terms & conditions. *Substitutions are available, additional charges may apply *Packages include a service fee and all buffet table linens Clear plastic plates, tea glasses, cake plates, punch cups, cutlery and high quality dinner napkin. - $1.00 per person Glass plates, water goblets, wine glasses silverware and cloth napkins available for rent at an additional cost. Please contact us for our complete terms & conditions. A service fee of $ 2.25 per person will be added to the Ala Carte menu if there is no package purchased. Please contact us for our complete terms & conditions.